The functionality is as simple as genius. 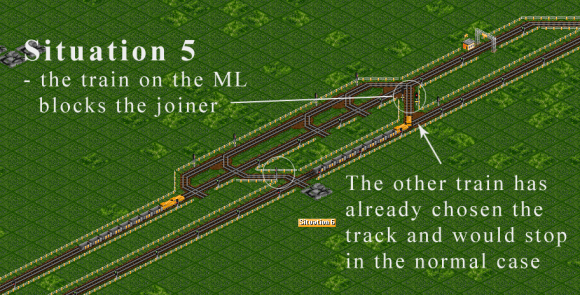 The joining train has influence on the priority line by adding OR logic. 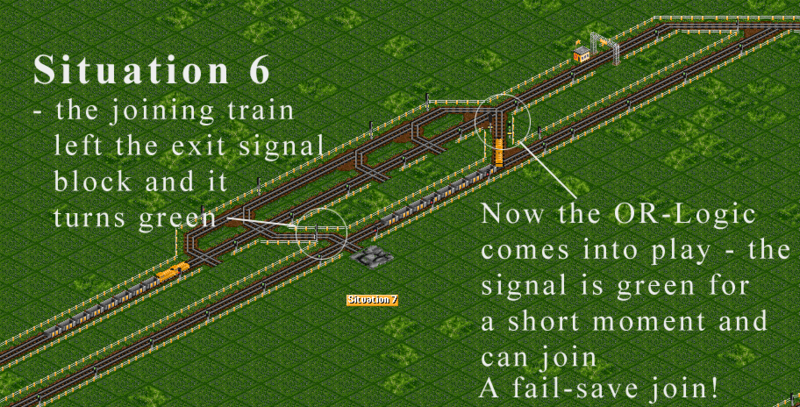 The exit-signal of the joining trains track turns green again after a train made a decision. 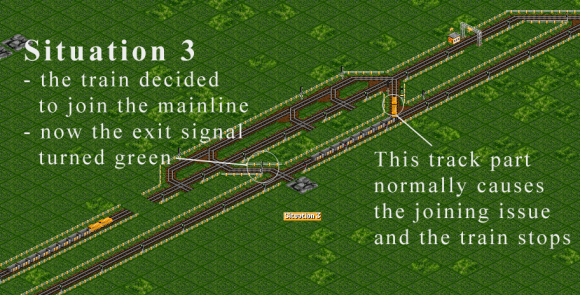 If in the meantime a train on the mainline blocked the entrance it stays green, because the OR logic determines it (the joining train unblocks itself, because the exit-signal turns green). 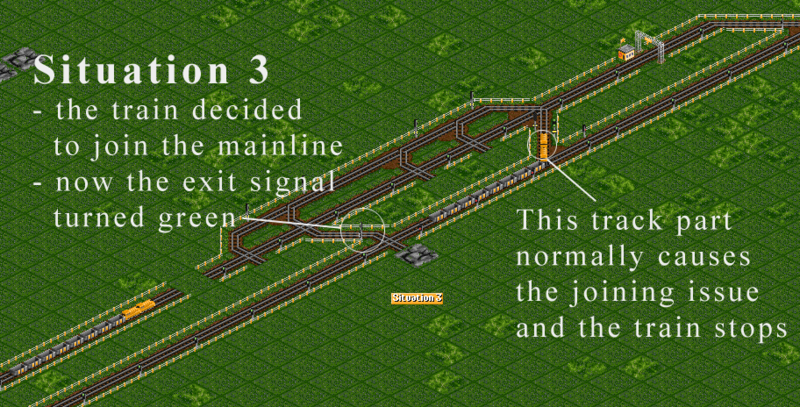 If a train is already on the mainline, both signals are red at the point the joining train has to make the decision and won’t join. 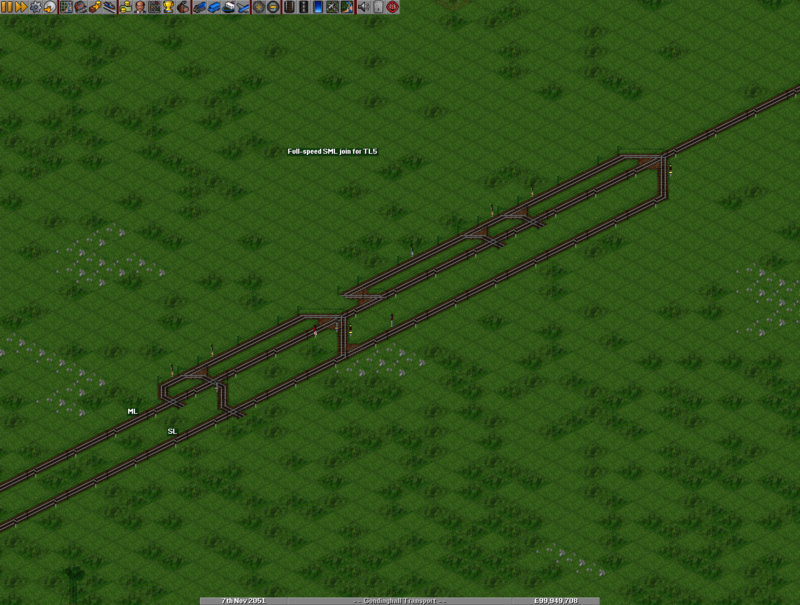 This is a very basic situation, a train is on outer line and wants to go the the waypoint. No trains are coming on the mainline. 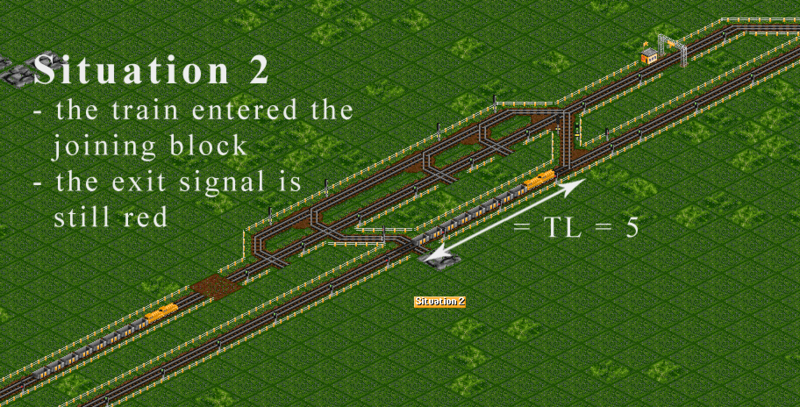 The train entered the block with the exit signal and it turns red. 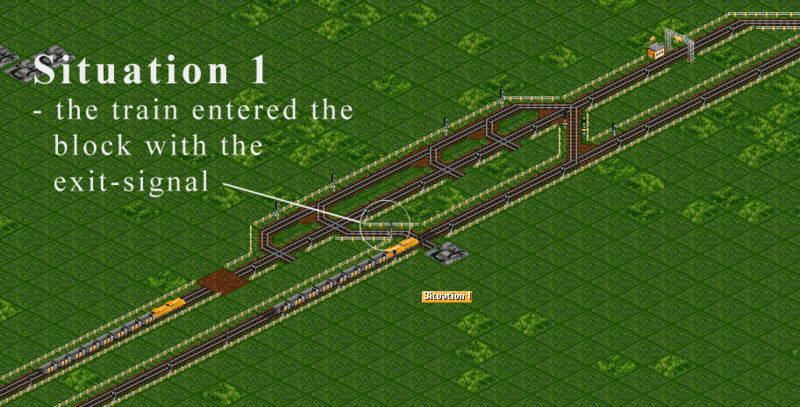 The train choses, the correct track. 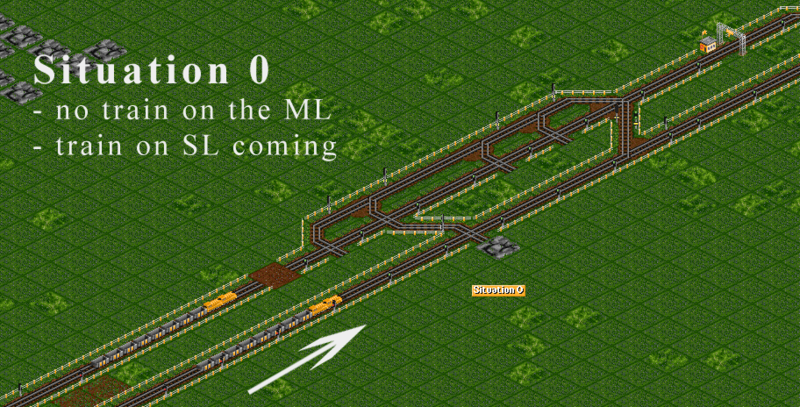 This isn’t too interesting because there isn’t a train on the ML. 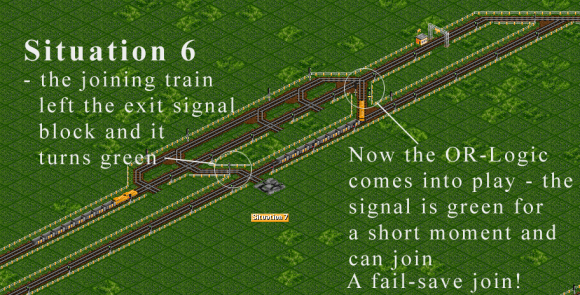 Though you might have notice that the exit signal turned green again right before the train passes the entrance signal. 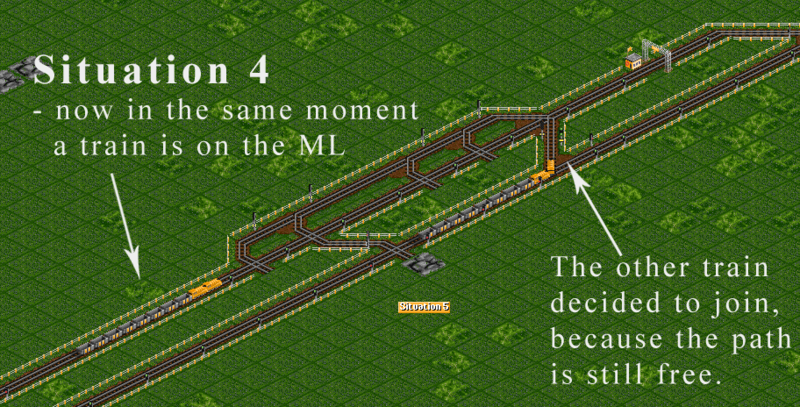 Now we have the same situation as before, but a train is coming on the ML. The train on the sideline already decided to join the ML. 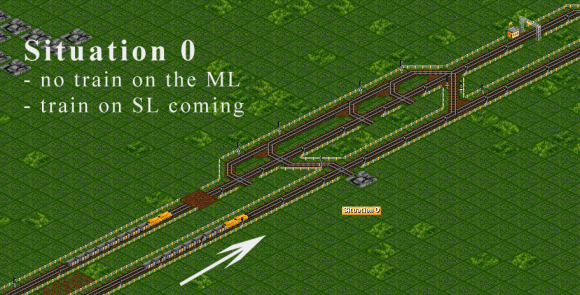 The train on the ML now activated the priority line and the entrance signal turned red. 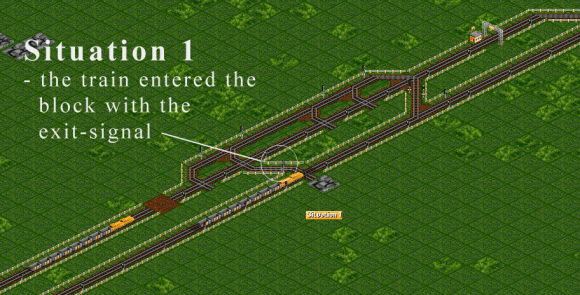 This is a bad situation, because the train on the SL wants to join now. 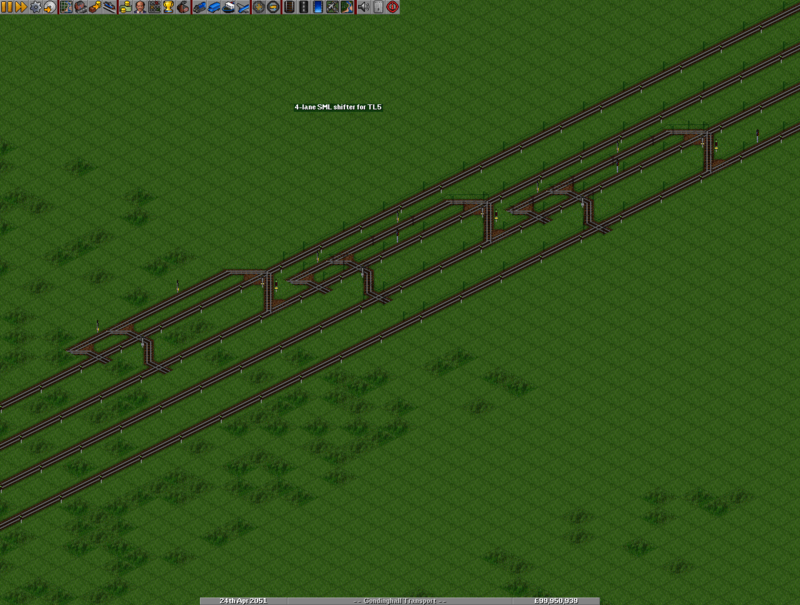 and the other train is far away, joining isn’t a problem. 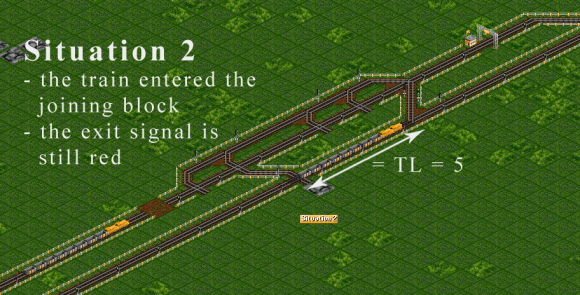 Luckily in the same moment the exit signal turns green again and therefor also the entrance signal, the train on the SL can join. 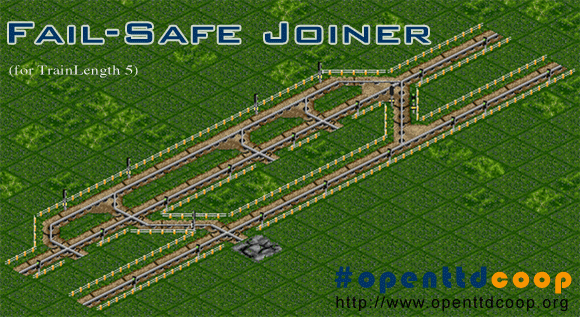 I really love this behaviour and you can replace joiners with “overtaking space” with this system. You can probably reduce the size of SML layouts we see nowadays and the good old 1<2 join or even more might become attractive again. And what I wanted to show you, I modified Pitt2’s Cyclotron, it comes now with 4 entrance possibilities which increases the chance of a join drastically. 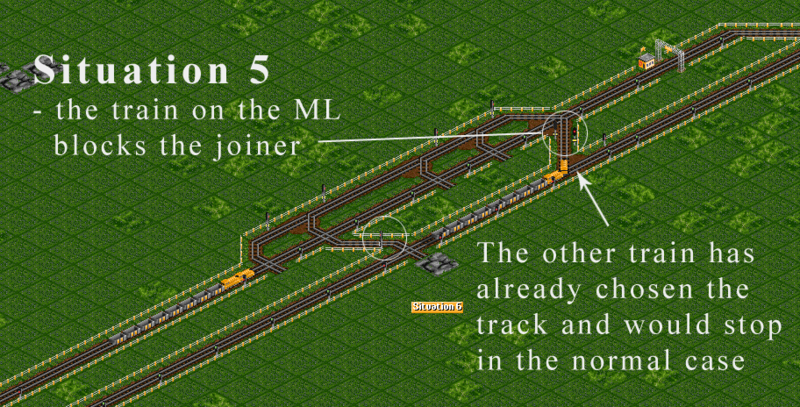 And for high-speed trains the additional way shouldn’t be a problem. Also note the footprint size reduction. Sidelines joining SML network can also be made quite a bit more efficient. 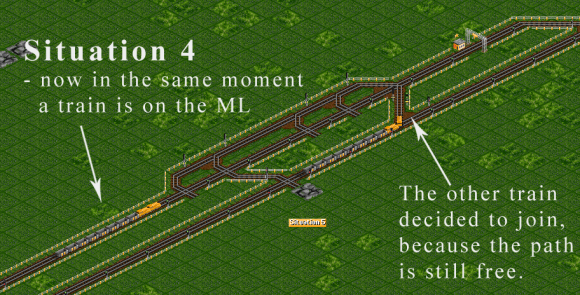 In the join below a train will first try to join the ML at full speed, if this fails it will move on to the longer prio and sit there until it has enough space to get to full speed on the ML. @Roysvork: Ouch… thank you for the hint. It was very late in the night yesterday… “save” doesn’t make sense 😀 I replace all, thx! I believe, if we can combine this, together with http://wiki.openttdcoop.org/File:Same_side_prio.png we can have some great stuff. 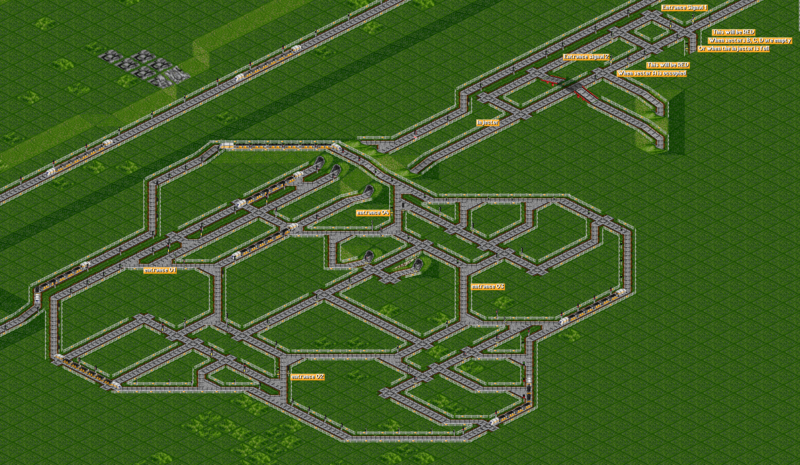 It’s funny actually, I spent a long time on that design, trying to get 2 trains in them at once and so on, and then gave up and used linear injectors instead. Then I realised that other bugs (features) with train speed and 45-degree track turns made my goal of ludicrous train density impossible anyway, and abandoned the whole thing. Can somebody make and example save game for me.